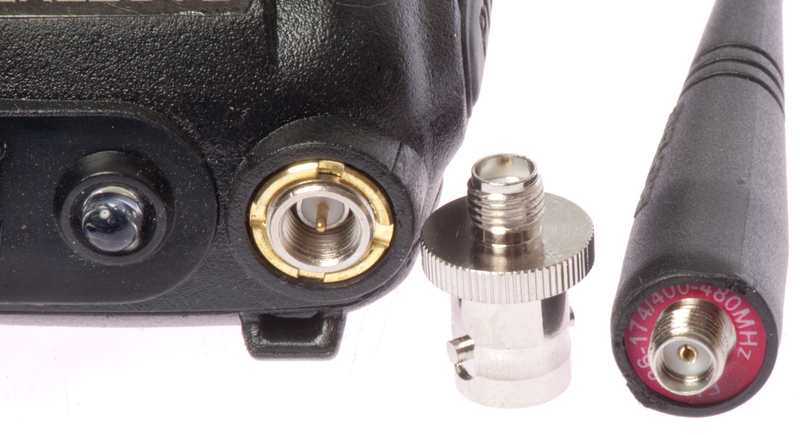 The paint ball replica PRC-152 radio uses a stock BaoFeng radio inside the military case and control system. 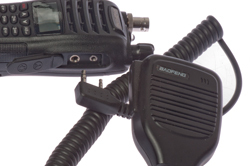 On that page I listed a number of BaoFeng radios that might be the basis for the PRC-152. These were chosen based on the frequency coverage of the PRC-152 replica radio. 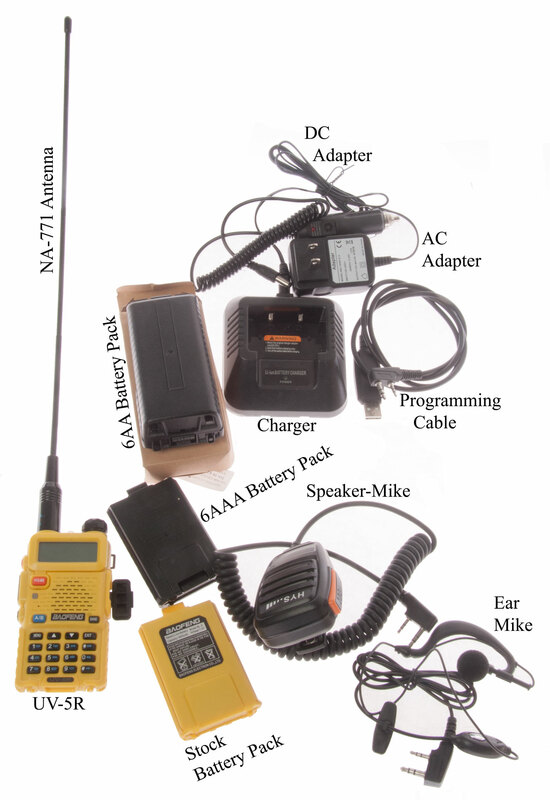 At that time I got one of the UV-5RA radios, but it got moved into a container and I haven't seen it recently. A couple of weeks ago a good freind started the process of reactivating his amateur call sign and after getting the one assigned by the FCC got a UB-B6 radio and started asking me questions about it, so I got one of them to help him. 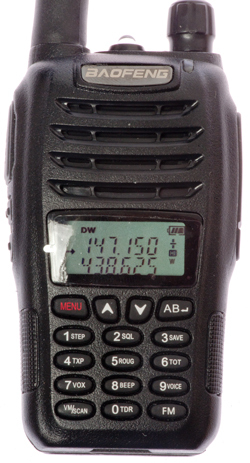 These are very similar to the Yaseu VX-7R, but it's more expensive and has more capability. BaoFeng seems to make radios that are good quality for the price. 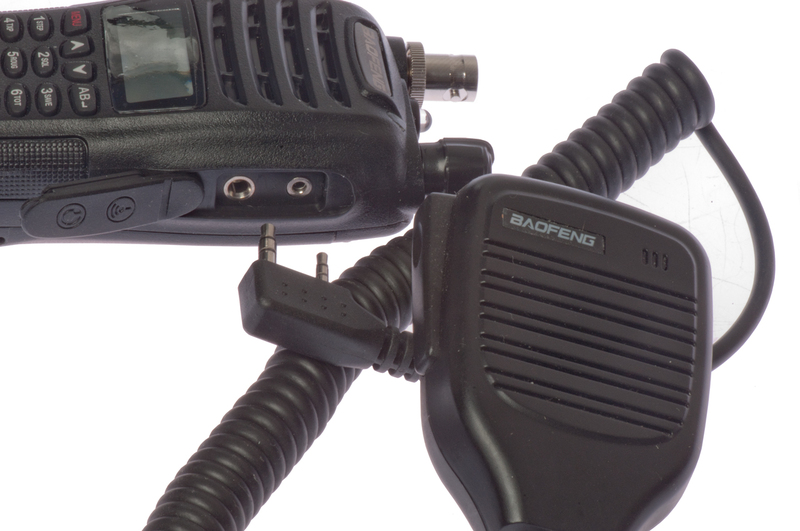 The handheld radios are very similar. One difference is some radios have a built in LED flashlight and others replace that with a second knob (the first knob they all share is the OFF-Volume control). 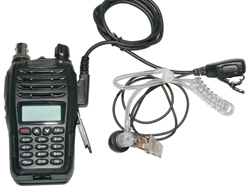 Dual band UHF/VHF FM radio 400-520 MHz &136-174 MHz. 5 Watt/1 Watt output. FM entertainment receive only radio covering 65.0 to 108.0 MHz. Can be used cross band for AMSAT operation. The stock antenna is not shown. What's missing is the special BaoFeng to BNC antenna adapter. 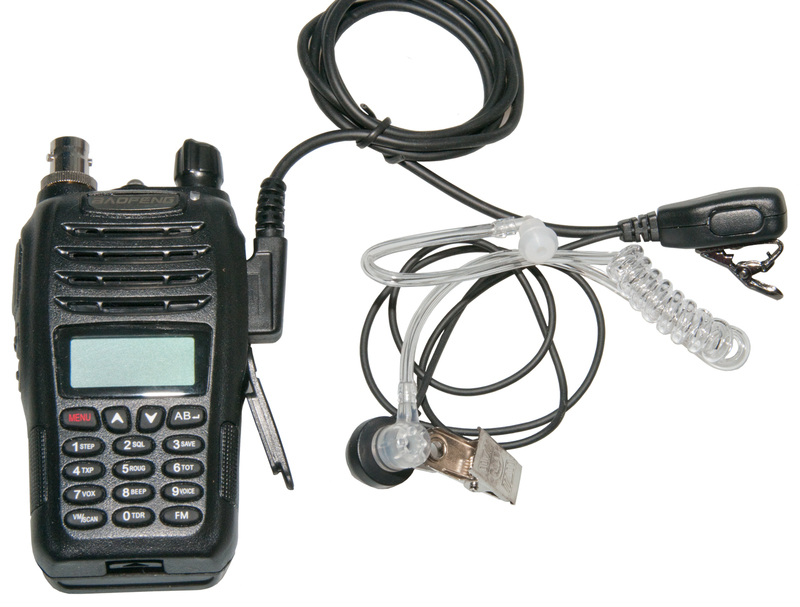 Dual band UHF/VHF FM radio 400-470 MHz &136-174 MHz.. 5 Watt/1 Watt output. FM entertainment receive only radio covering 65.0 to 108.0 MHz. Press VFO/MR button for a couple of seconds to switch between modes. Note ham FM in the VHF and UHF bands uses what Baofeng calls wide FM or just FM and has 5 kHz deviation. What they call narrow FM or NFM is what is used on commercial VHF/UHF radios with 2.5 kHz deviation. Military radios use10 kHz deviation on their VHF low band radios with a channel spacing of 25 or 50 kHz. If the deviation is smaller than the receiver expects the signal level will be lower. So it's a good idea to use the widest deviation that the receiver will accommodate. If the deviation it too wide then clipping may cause distortion. CHIRP free software allows copying the existing settings from a radio to a .img file or loading a radio with a .img file. This includes most of the possible settings of the radio. Miklor has a lot of related information. The radio can be programmed to work in these services, but may not be compliant in all respects. GMRS (Wiki), MURS (Wiki), FRS (Wiki) in addition the radio can listen only to the standard FM broadcase band, which may be useful in my area in a emergency since in the October fire they had current information.